Your next hospital visit could be shorter thanks to new technology, which automates booking non-emergency medical transportation. Acuity Link, a technology company that assists hospitals and medical transport providers through automation of non-emergency transport bookings, officially announced the availability of their new cloud-based software Tuesday. The software created by Acuity Link is a comprehensive discharge workflow tool allowing health care institutions to better manage discharges by innovating the process of booking non-emergency transportation. This helps healthcare institutions to run more efficiently and dramatically improves patient experience, clinical outcome and bed utilization. Many hospitals worldwide have increasingly struggled with patient discharge workflow and throughput process. This has been affected by higher demands in patient care, no tools to manage medical transportation providers and an outdated system for ordering non-emergency transport for patients. The average time it took to book a non-emergency transport was 12-14 minutes per call, and after that, the patient would often have to wait more than an hour to be transported. 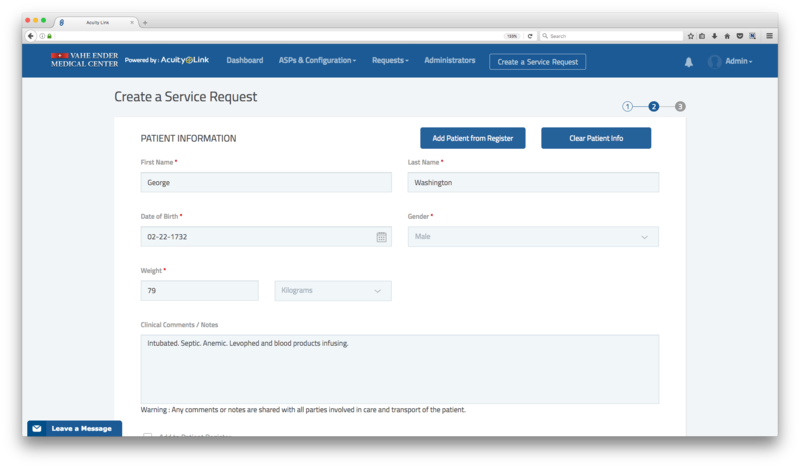 Once Acuity Link is adopted by a hospital, administrators and clinicians can now request, schedule and track patient non-emergency medical transportation directly from a web-browser in real time. Ambulance crews are connected to the hospital’s Acuity Link system via smartphone or tablet. 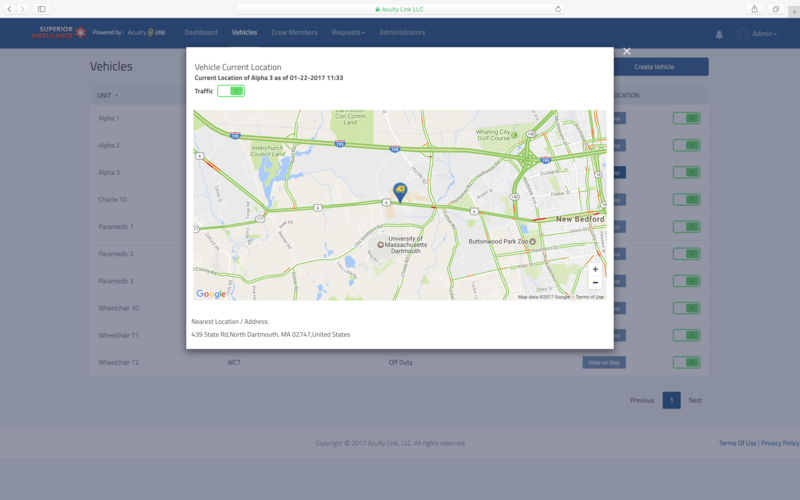 From the Acuity Link mobile application, crews can respond quickly to incoming transport requests and receive clinical details and all pertinent information pertaining to the assigned transport. Additionally, with Acuity Link’s geo-location technology, those performing the discharge of a patient are alerted when the transport is responding and arriving. More than just providing an efficient non-emergency transportation booking process, the software also provides extremely detailed analytics for healthcare executives and medical transport providers, which allows them to understand trends and make informed decisions around cost saving policies and procedures. Acuity Link was founded in 2015 by a seasoned team of emergency medical service professionals. They experienced first-hand, the frustrations in the inefficiencies of the current system and began developing a solution for the industry. After years of development and product testing, Acuity Link’s team expects the software to become the industry standard for health care organizations and medical transport providers to communicate with each other. “We’ve built a low-cost tool that can be seamlessly implemented into any health care organization and improve operations. The transparency and efficiency our software delivers through reporting and analytics helps hospitals, transport companies and most importantly, patients. In hospitals where Acuity Link is being used, patients are no longer waiting hours to be discharged to other facilities, which means hospitals increase proper utilization of clinicians and their beds. This results in better patient care and cost savings all at the same time,” said Theoharidis. Acuity Link is fully compliant with HIPPA laws and provides various levels of encryption, which meet or exceed industry requirements for protecting patient information. For more information about Acuity Link and the company’s software solutions, visit http://web.acuity-link.com/.